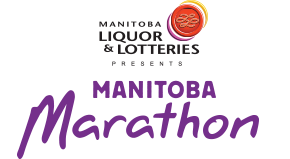 The Manitoba Marathon is excited to have many talented artists gracing the participants and spectators with home grown talent on race day! Perfectly situated out on the course to keep you moving and motivated! Here are this year’s performers on the Manitoba Marathon course! To view the course entertainment map & legend, click Course Entertainment Map! Inspire. Uplift. Spread positivity. This is the mission statement of Ashes and Dreams, and its touring show, the Chillout Groove Experience. Ashes and Dreams specializes in an imaginative blend of ethereal pop music created by Lisa Saunders (born + raised in Portage la Prairie, now based in Winnipeg) and her UK co-writer, Liv Mircea. Lisa tours with Manitoba bandmates Kris Kosie (bass) and Paul Claxton (keys), allowing Ashes and Dreams to bring their musical creations to life.The band has received international airplay, TV placements & performed at festivals, community events & coffee houses.Dance amidst a sea of captivating lights, unwind, let go of frustrations, and enjoy bonding with others in a Chillout Groove Experience. Big Heist Brass Band is a high energy, six piece brass band from Winnipeg, Manitoba. 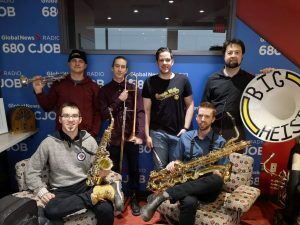 Playing their own takes on different pop, rock, and funk tunes as well as a growing selection of originals, Big Heist Brass Band always looks to bring excitement to their audiences and to get people dancing and having a good time. 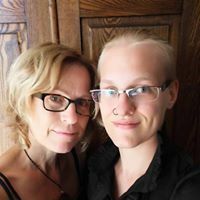 black-eyed SUZIE core members, mother-daughter duo Christine and Jara Marek, are reinventing themselves following a 3-year hiatus and recent move to Winnipeg MB. Building on the many songs never heard or recorded, the group has been busy developing the rich eclectic indie sound the former family band was known for combining haunting melodies with rich harmonics and atmospheric rhythms that captivate audiences young and old alike. Subtly dark with gothic undertones, black-eyed SUZIE’s songs speak of finding some beautiful truth in the unpleasant. Coming from remote communities scattered across the vast Canadian landscape, each member brings their rural roots. These experiences are intertwined with some of the unconventional bass and percussive riffs and alternating classical to contemporary melodic vocal treatments that take you on a journey into the backwaters of Canadian life. Disraeli Dreamers comes from the thriving Winnipeg music and arts scene, home to some of the most innovative and talented artists to ever walk the earth. Their sound is diverse and hard to easily categorize, moving effortlessly from funky jams to punk-inspired high-energy rockers. They have been compared to bands like Royal Blood and Queens of the Stone Age. Their goal is simple: make music that moves your body and rocks your soul! Comprised of veteran musicians, The Dreamers aims to create tunes for a broad audience that makes you dance, and makes you feel. 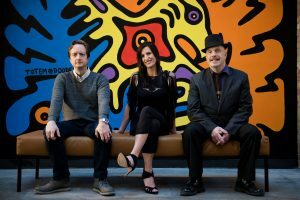 Passionate, creative, intense, and full of energy, Disraeli Dreamers’ mission is to create good vibes that will resonate with you long after the songs are over and the night is done. Disraeli Dreamers released their sophomore EP, Insomnia Island in early 2018. The record was recorded at the famed Studio 11 in Winnipeg, and produced by Jason Gordon (Kanye West, Inward Eye). The album as a whole has been generating positive reviews from music critics. The single, ‘Little Lie’, was featured in the UK-based A&R Factor’s award-winning music blog. Insomnia Island comes off the heels of The Lucid, the debut EP from Disraeli Dreamers, which was released in May of 2017. The lead single, ‘So Long Ago’, became a favorite on college stations across Canada and the United States, garnering indie radio play on 35 stations. Disraeli Dreamers were selected as top 50 finalists in Canada in the Jim Beam Make History Talent search, which was coordinated through Canadian Music Week. 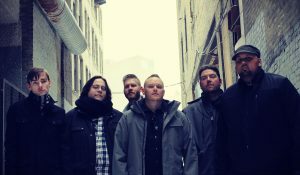 The band also made CBC Searchlights Top 100 bands during their 2018 search, as voted on by fans and industry personnel. At a young age, DJ Abi found himself immersed with talent all around him. He found himself among fathers of the Dj scene, such as Lil Phil and DJ Terra. With their massive appeal to pull in a crowd, Dj Abi found himself inspired by the greats. DJ Abi has acquired a lot of range and motivation to bring his talents to the decks after being exposed to the Electro scene, as well as the Hip hop scene early on. He was able to distinguish himself by creating his own unique style, described as Hip hop meets Electro and Jungle. After performing alongside Grasshopper, a world renowned DMC 3 time champion, he found himself well-versed in the game of scratching records. As well, he was honoured to play along the monumental stylings of the Frek Show Crew. These experiences couldn’t help but shape the way he saw music. After a hiatus in the late 90’s, he has come back to throw down his fresh style, fusing together his take on the Hip hop scene and the Electro world like never before. As he progresses to make permanent marks on the scene, DJ Abi is ready to make some big waves as his beats never hesitate to move a crowd. 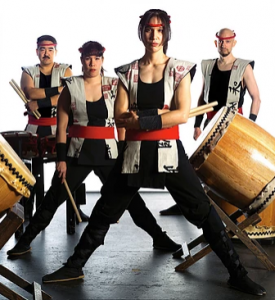 Fubuki Daiko reinvents traditional Japanese drumming with their eclectic and energetic performances that are part martial arts athleticism, part meditation, and all rhythm. For over twenty years, they have performed at festivals, concert halls, and schools across North America. Collaborations with a wide range of groups including the Winnipeg Singers, Moses Mayes Family Funk Band, the Northern Plains Ballet, and Ron Paley’s Big Band, have continued to fuel their pursuit of excellence and innovation in this ancient art form. The core members of the group each have over 25 years of taiko experience and received their formative training from the founder of North American Taiko, Grandmaster Seiichi Tanaka. After performing at Carnegie Hall with the San Francisco Taiko Dojo and leaving with Tanaka’s blessing, they relocated to Winnipeg, Manitoba where they expanded into the current professional touring ensemble. The group’s self-titled CD received a Prairie Music Award for Outstanding Instrumental Recording. Neil Keep’s voice is a bring-the-house-down, show-stopper. Whether tender, jagged, playful, mocking, brooding, belting – he is engaging, musical & communicating at all times. Neil has performed jazz all over of Winnipeg with local legends: Merv Mauthe, Ron Paley, Jonathan Alexiuk – and since 1990, done well over a thousand solo shows with backing tracks. 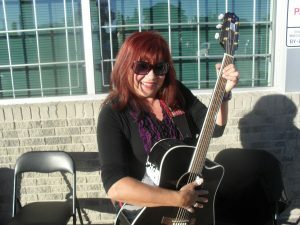 He is in high demand as a hands-down favourite at retirement residences and currently a member of three bands: The BMW (Bavarian Musik Werks); Ricky Bogart, and; “The InClines: Sweet Dreams of Patsy Cline”, a touring tribute show where he does backup harmony with sister Karen, solos and comedic schtick to the delight of audiences across western Canada. 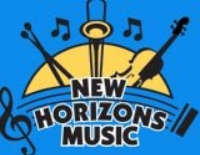 The Winnipeg New Horizons Band is an adult learning band and a member of the New Horizons International Music Association. The philosophical basis for the association and its members is to provide opportunities for adults with limited or no musical experience, as well as those who have been inactive, to make music in an enjoyable and supportive environment. The only requirement is your desire to play a concert band instrument and they will help you with the rest. Suzanne Bird is a Manitoba Métis singer-songwriter and three-time Juno nominee. Suzanne creates a soulful, bluesy vibe with her gorgeous and powerful voice – which encompasses a range from blues to folk to rock, with influences of jazz and Indigenous roots. The depth of her storied lyrics evokes strength and beauty; her heartfelt harmonies evoke spirituality and charm. 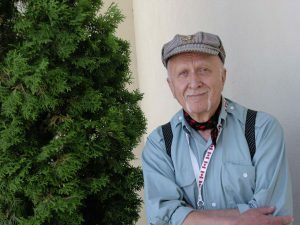 Ted Meseyton’s music is inspired the topics he newspaper articles he writes. Ted is a columnist for The Herald Leader in Portage La Prairie. He both sings and writes his own original songs. One of his compositions entitled, “The Prostate Song”, promotes prostate health and awareness.